It's no secret the sun causes major damage to your skin. Thankfully over the years, more and more information has become available to us about skin cancers, and overall prevention and protection from the sun. Even if you have darker skin, or tan instead of burning right away, you need to look out for your skin and the harmful UV rays that cause long term damage. I'm not a doctor, and I'm not an expert in skin cancer or sun damage, so if you're looking for more detailed information a good resource is skincancer.org or The Mayo Clinic. Both sites are able to provide you with medically based information on sun protection, and how to check yourself for signs of skin cancers. All that being said, I'm here to talk about the best way to really save your skin and prevent signs of aging, especially on your face. That way is by using sunscreen on a daily basis. I know, ugh, sunscreen. It can get into your eyes, and feel greasy, or make you break out. I know, as a super pale girl, I get it. Here's the thing though, the SPF in your BB Creams and Foundations really isn't enough to do the job properly, and if you want to avoid dark spots, and wrinkles, sunscreen is the way to go. The good news is sunscreens have come a long way and there are so many options now that you don't have to settle for something that feels gross, or gets into your eyes. Finding the sunscreen for your face that is going to work for you may take some time, and trial and error. Here are some of the products I've found over the years that have worked well for me. This serum is pricey, and I spent months going back and forth before caving after trying a sample. A little bit goes a long way with this stuff, and it reminded me texture-wise of Smashbox's signature makeup primer. It definitely leaves my skin soft, and looking smoother. I like that it's got a full 30 SPF and that I feel like even with just one or two pumps I'm getting enough to cover my whole face, and neck. Definitely an investment at $65 smackers, but so far, worth the price. It doesn't leave a greasy residue, or feel like it's clogging up your pores, and it doesn't move during the day, leading to drippage into your eyes or mouth etc. Spending the last month or so in Phoenix, where we've been comfortably (or un-comfortably as the case may be) sitting in triple digit heat for weeks, means lots of sweating to test this out. Glad to say it doesn't budge. 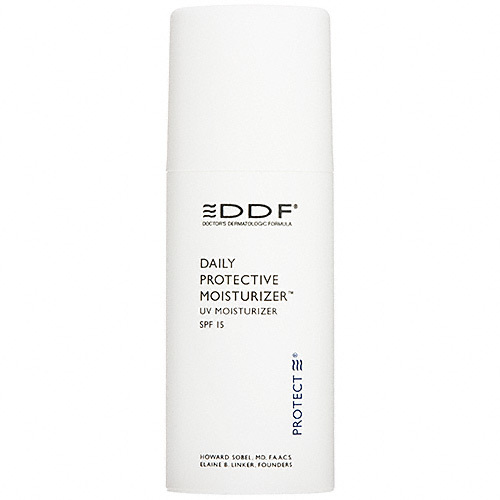 This used to be my go-to daytime moisturizer, and then Sephora stopped carrying DDF products, and I couldn't find it for a while, and then forgot about it. Sad story. What I really loved about this product was how lightweight it is. I wish the SPF were higher, but it's a great morning moisturizer, and while you can smell the sunscreen in it, also has great staying power and never ended up melting into my eyes during the day. In addition, because it is lightweight, it never felt like it was too thick, or clogging up my pores while I was wearing it. It didn't cause any breakouts, and while also on the more expensive side, felt somewhat reasonable. A classic that ticks all the boxes for me. Lightweight? 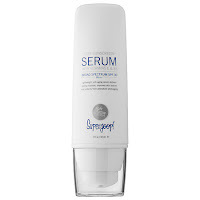 Check - although compared with some serums it's more of a medium weight. SPF factor? Check. Stay put factor? - Check. I wore this sunscreen on my face all throughout training for 5 half and one full marathon. I not only didn't get sunburned on my face, it also didn't sweat all off, and into my eyes, and mouth. This is huge when you're running 10-15 miles in Los Angeles heat. The last thing you want is sunscreen in your eyeballs, burning. Leave the burning to your muscles. At this price under $15, it's a good amount of bang for your buck, and while it's not my favorite for layering under makeup, it's also not terrible for it either. Worth the price, and the protection, although this definitely feels more like sunscreen than moisturizer. This is another product that I first encountered as a sample. I'm already a fan of Supergoop! as a product line, and have been loving their lip balm for the past 8 months or so. I just haven't pulled the trigger on this sunscreen yet. At $42, it's another splurge price point, but having tried the samples, I can safely say it exceeds standards in all the areas discussed above with the other products. 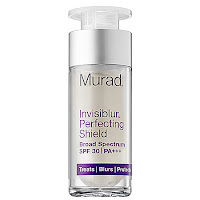 This product, for me, could likely replace the Murad Invisiblur, once I run out. 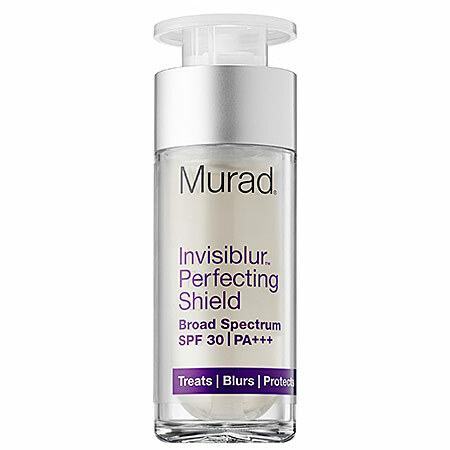 I like the texture of the serum, and like the added "soft-focus finish," which reminds me of what the Murad product accomplishes as well. 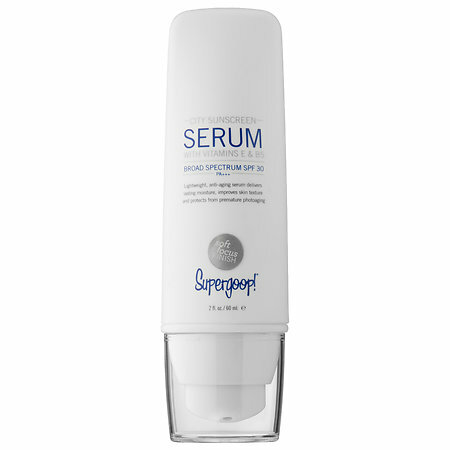 Because I only had one small sample, I wasn't able to get a true read on longevity, and wear in terms of sweat drippage, but serum products tend to help avoid that in general. What are your favorite sun protection products for your face? Did your all time favorite make my list? DDF face moisturizer Murad Neturogena serum skin cancer protection Skin Care SPF sun protection Supergoop! Labels: DDF face moisturizer Murad Neturogena serum skin cancer protection Skin Care SPF sun protection Supergoop!